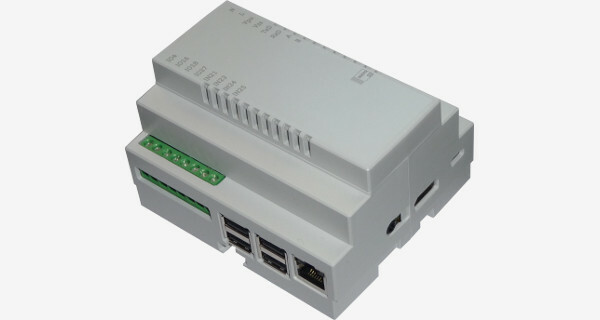 The new DIN rail mountable enclosure for your Raspberry Pi. 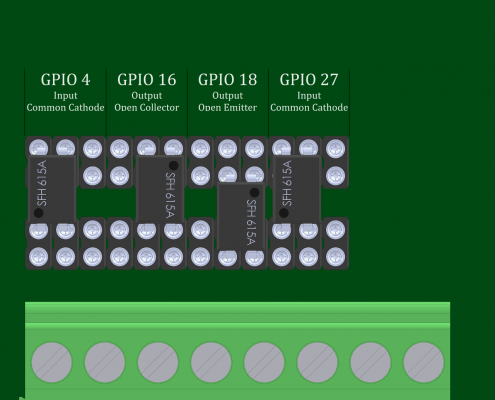 The Raspberry Pi is a great platform for electronics projects. But most projects need some IOs and communication ports for controlling and communicating with other devices. A power supply is indispensable for any project. All these features are integrated in the DinRPi. 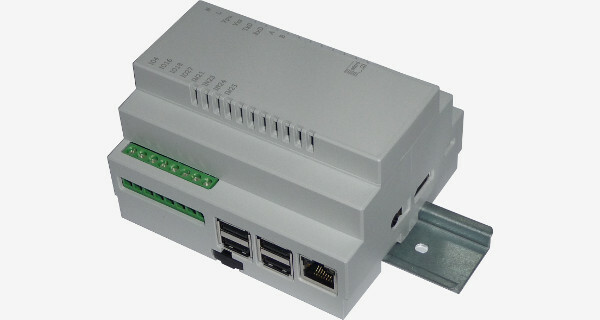 The DinRPi can be used for most Raspberry Pi projects especially when you want to install your project on a 35mm DIN Rail. The configuration of the four IOs can be managed by placing the optocouplers in the desired position (see figure below). The DinRPi has one RS232 and RS485 transceiver onboard, the routing to Raspberry Pi’s serial port can be configured in the software. The DinRPi’s functions can be extended using your own expnasion board which can be connected to the onboard expansion header. 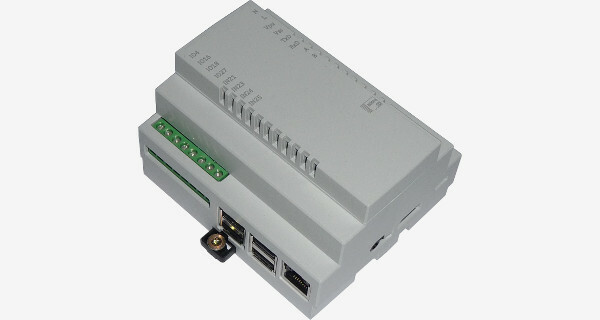 You can use several GPIOs, powersupply, SPI, etc. The DinRPi 5W is equipped with a 5V/1A power supply. 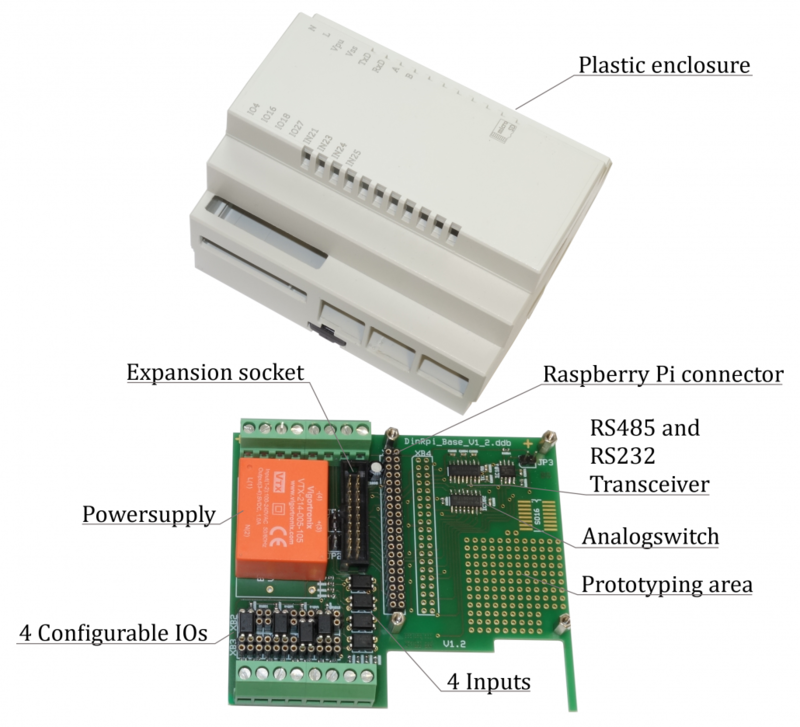 This cost effective version can be used for the Raspberry Pi 1 Model B+ and Raspberry Pi 2 Model B. The DinRPi 10W has a more powerful 5V/2A power supply. This version should be used for the Raspberry Pi 3 Model B and if you want to supply further external components and devices (e.g. UMTS sticks, etc. ).